Loki is right-handed. If you look, in movies since the Thor 1 to Avengers 1 to Ragnarok, he wields with his right hand. He holds weapons with his right and the sceptor in Avengers with his right. There are two occasions he uses his left hand (that I've found). One, when he fakes his own death in Dark World. You can find him holding the dagger with his left hand during the entire scene. Two, when he stabs Thanos. So, Loki's illusion uses his left hand because he's a mirrored version? The Loki that was killed in the beginning of IW was an illusion and he's still out there, maybe disguised or just in hiding. This obviously wouldn't be the first time Loki has pulled something like this. And after all, this is a comic book story, where pretty much everyone dies and comes back at some point or another. 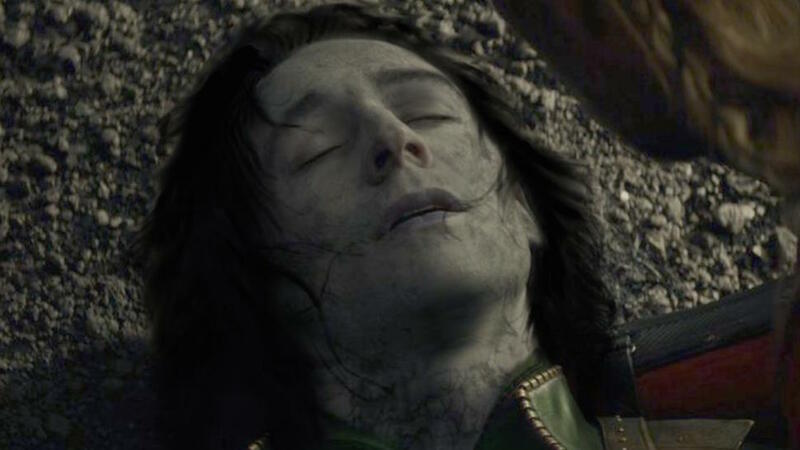 But, if Loki did fake his own death, where is he? Did he escape with the other Asgardians to find Valkyrie and sweet perfect Korg, the best character in the MCU? Did he eventually survive Thanos' great dusting apocalypse? We'll have to wait until Avengers 4 on 3 May, 2019.